B.O.S.C.H. 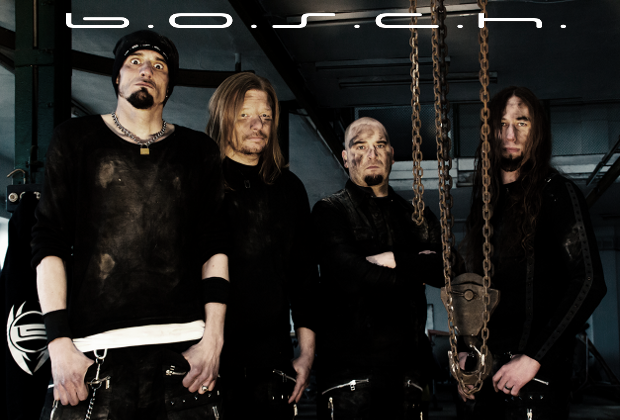 from Germany, is a four-piece industrial metal band started as a project. The band was featured on the Rolling Stone magazine (2006) as a German-language band in 'The Best 10 Bands' on MySpace. Since 2007, the band has been playing at live shows by complete members and producing their music with remix miscellaneously. Following the video for the song "Mehr", in 2008 their songs were played on the radio "Schattenreich" and espwcially their song "God" was featured in the German movie "Fahr zur Hölle, Gott", starring Martin Semmelrogge and Claude Oliver Rudolph and others. Their first album "Einsam" was released on Warner Of Chappel in 2010. 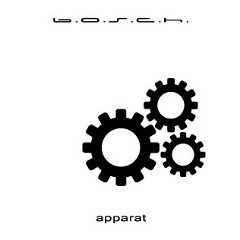 After having numerous club tours including as an opening act for the band OOMPH!, in 2013 BOSCH signed a label deal with Dust On The Tracks Records for a new album, and the album "APPARAT" was released in May. B.O.S.C.H. combines industrial metal elements with modern metal sound by hammering bass runs, sawing guitars, precise synthesizer runs and driving drums. B.O.S.C.H. will not make disaapoint you who like a powerful, heavy and brutal industrial music.